As soon as the heat hits, I am pulling out all the summer dresses! 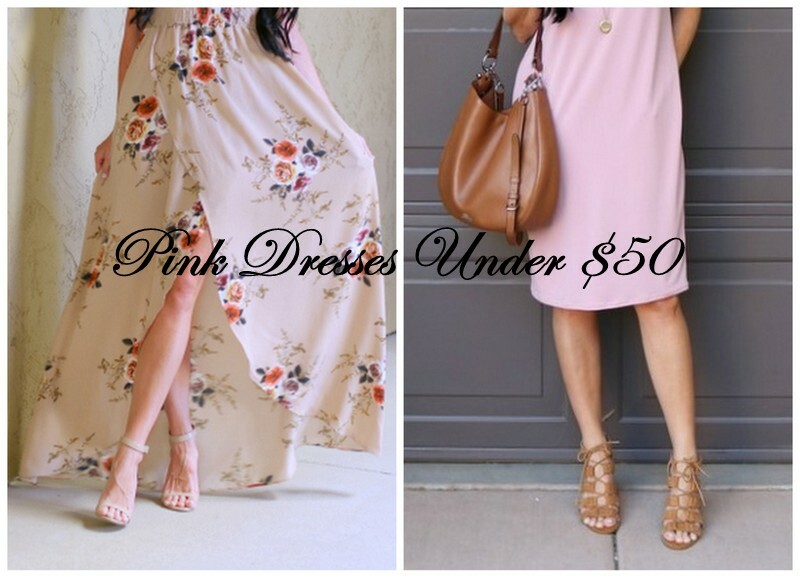 Pink summer dresses come in all shades and styles, and I am rounding up a few favorites under $50 in this post to get you ready for summer events & socials, BBQs, reunions, vacations, and dun dun dun…. even work. I recently had the clothing brand SexyModest Clothing reach out to me to feature one of their dresses. They have many beautiful choices, and right away I knew this dress would be perfect for the working girl. I know as a teacher, this fabric and style of dress will work so well in an environment of constant movement. And, for the office worker or one who has to sit at a desk most of the day, it doesn’t wrinkle much at all – WINNING! I could see myself wearing this for church, or an event or social, too, with a clutch and some lighter strappy block heels. I was so attracted to this high-low dress simply because of the feminine slit in the front and the length of the dress overall. I love how it crosses over, so it covers well while still having such a pretty style. The main color of this dress is definitely a tan-pink hue. I LOVE dresses with this smocked tube top fit, and this one was no exception. The only downfall here, is that the little sleeves are pretty tight. I had read that in the reviews also. Honestly, if it bothers me enough, the dress would still have the same charm without them, so I may have them taken off. The low price of the dress justifies wearing it however you’re most comfortable, and they haven’t bother me too much so far. I think this is a gorgeous choice for a wedding, reunion, or date night for sure! Hope everyone’s summer is off to a great start! Thanks for stopping by to read!